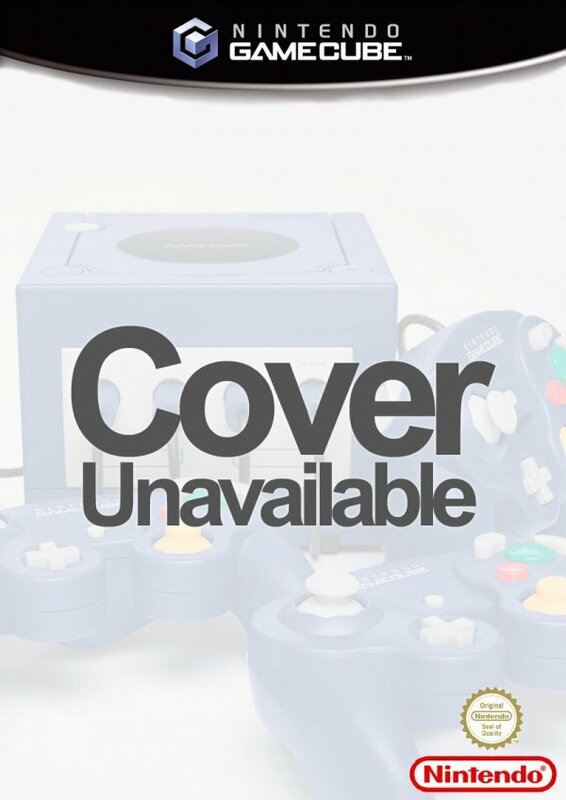 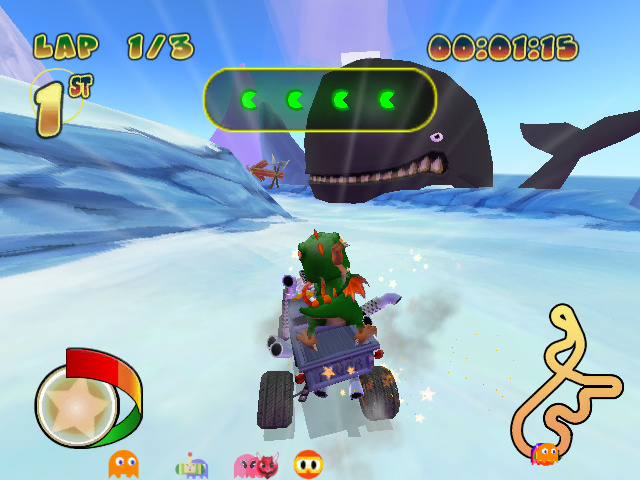 Sorry, no review of Pac-Man World Rally yet. 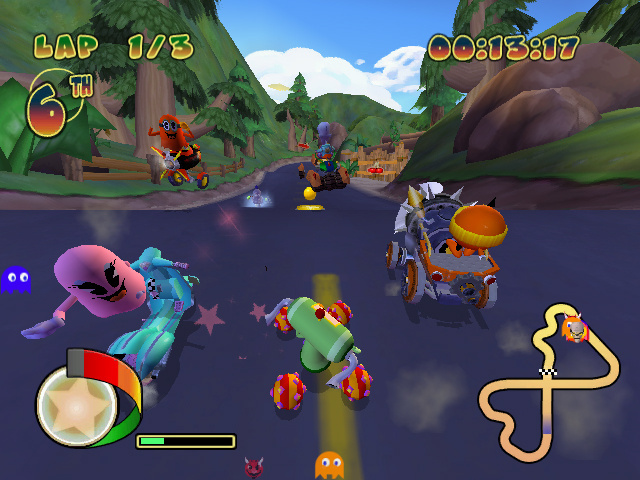 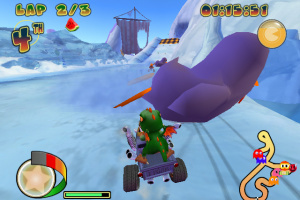 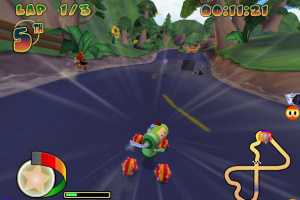 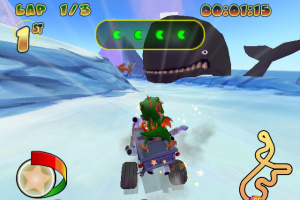 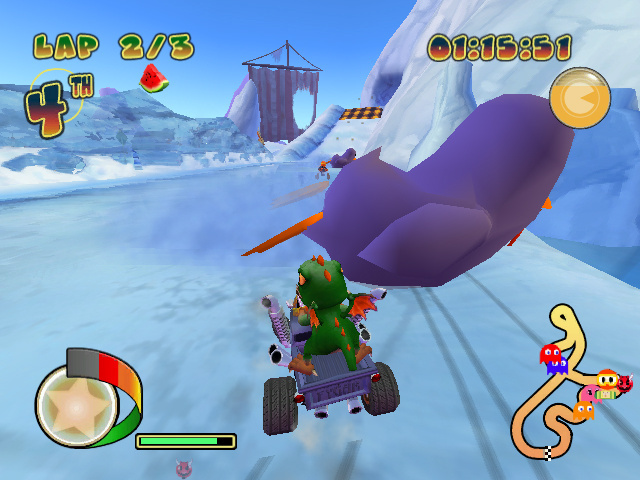 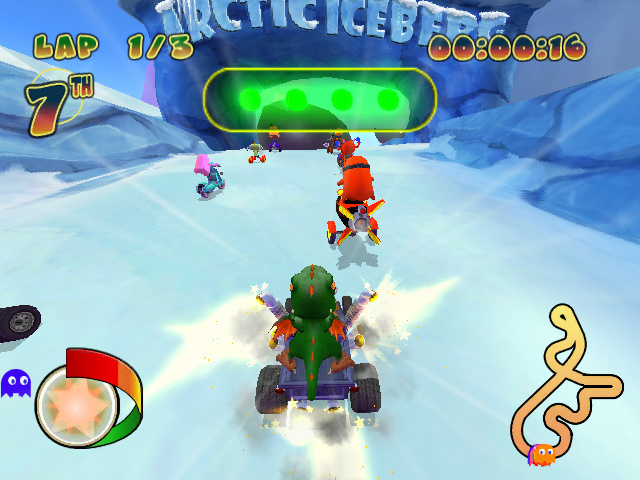 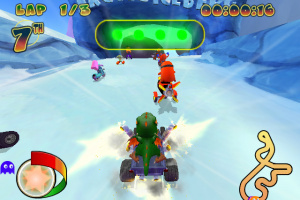 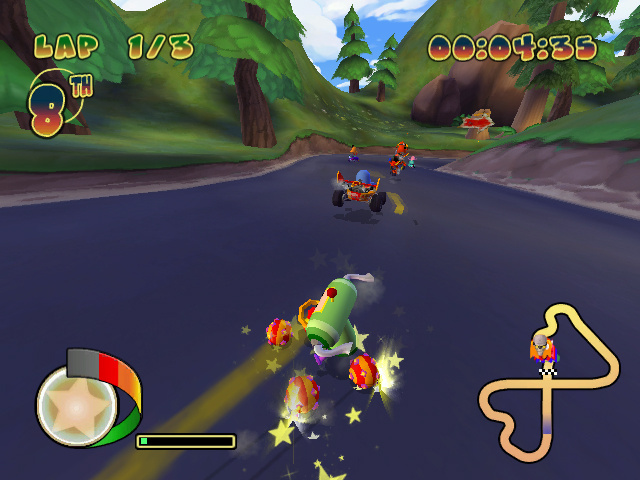 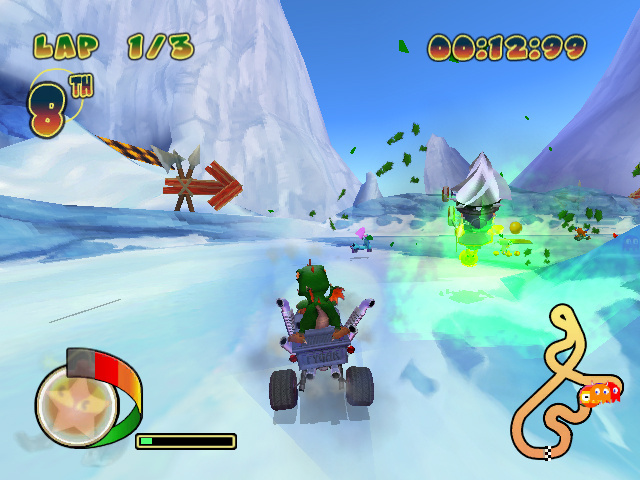 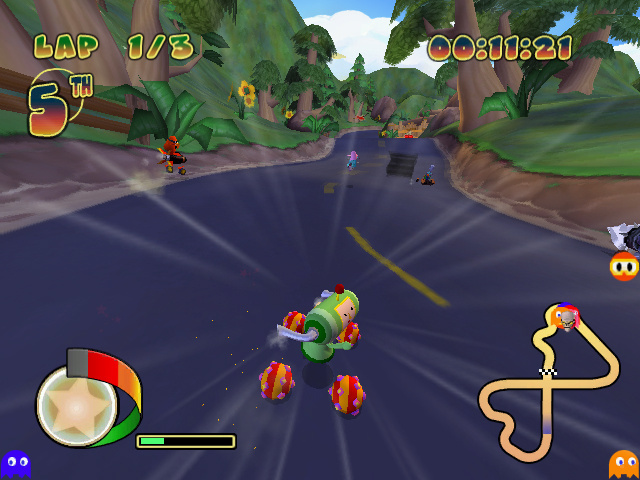 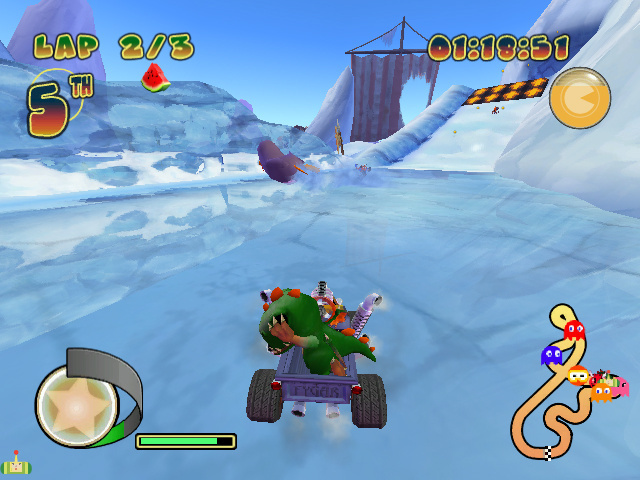 In Pac-Man World Rally, players can race through a variety of environments from Pac-Man World as Pac-Man®, Pac Jr. and other beloved characters from past Namco classics. 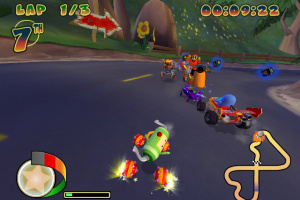 In one of the fastest and most exciting kart racing games ever, players will race for the win or fight it out in colorful Battle Arenas with special weapons, power ups and variety Pac-Man powers. 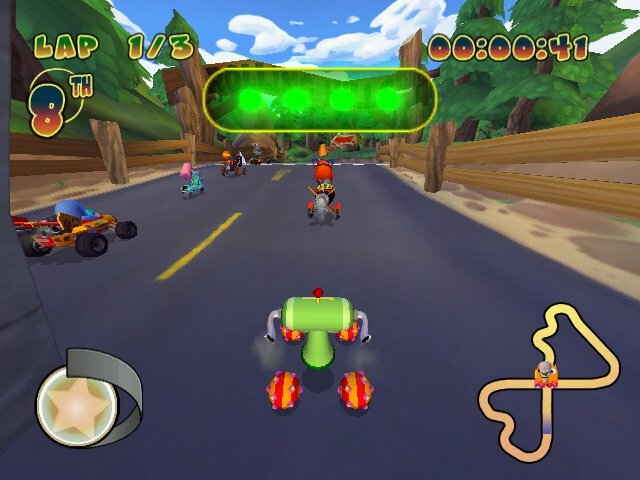 Fastest Kart Racing Game Ever! 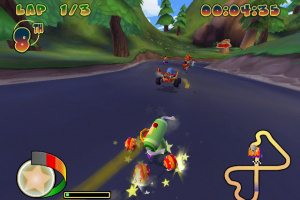 – Race against the computer or with your friends in the fastest, most exciting kart racer to date. 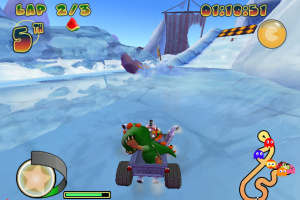 Feel unprecedented sense of speed as you race on some of the most exciting tracks ever created! 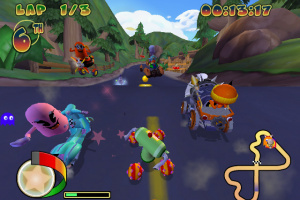 Play as Pac-Man and your other favorite Namco Characters! 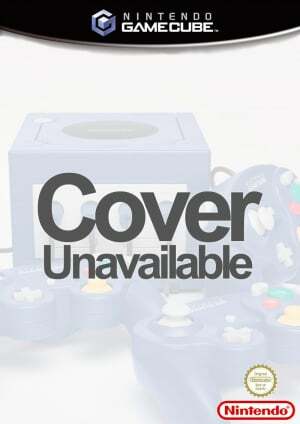 – Play as either iconic characters from the Pac-Man universe or choose from an all-star cast of classic Namco characters. Battle in Pac-Style! 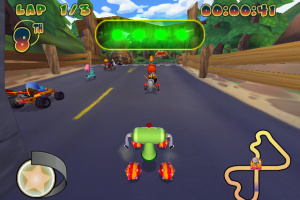 – Special power ups, tracks and abilities prove that it’s Pac-Man’s world, and we only live in it. 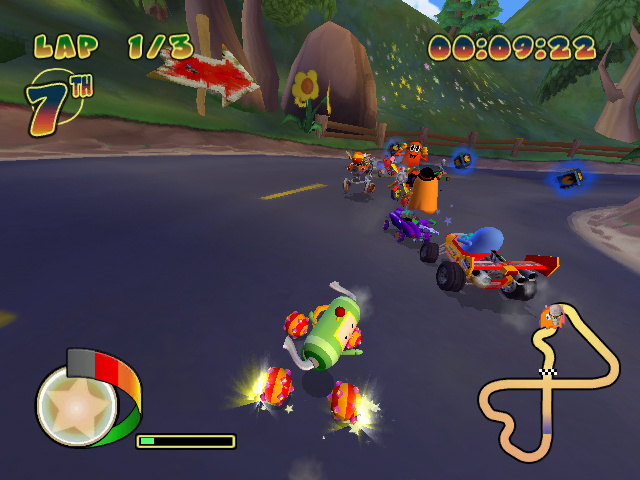 fare game but it could be better.